With just 38 rooms, the hotel evokes the feel of a Georgian inspired country cottage. 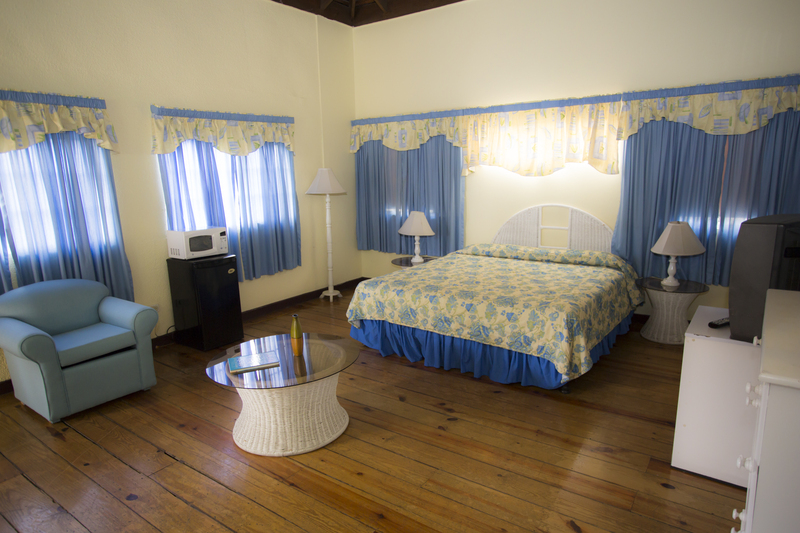 With the original hardwood floors restored to its former glory; the rooms on the main building are reminiscent of our colonial heritage mixed with modern simplicity of a minimalist design. Each room has a private balcony overlooking the fruit tree spotted lawns. The rooms on our tennis court block are dressed in clean white walls and crisp white linens and are accented by bursts of colour. High ceilings and ample space makes for a sublime retreat. 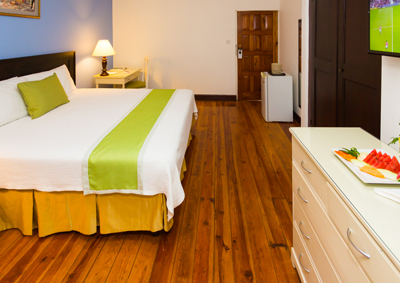 With the original hardwood floors restored to its former glory; the rooms on the main building are reminiscent of our colonial heritage mixed with modern simplicity of a minimalist design. Each room has a private balcony overlooking the grounds and sections of the New Kingston landscape Amenities: air conditioning, cable TV and a private bathroom, mini-refrigerator, telephone, writing desk, safe, iron and ironing board The rooms on our tennis court block are dressed in clean white walls and crisp white linens and are accented by bursts of colour. High ceilings and ample space makes for a sublime retreat. 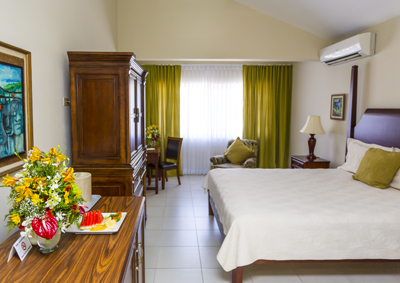 Amenities: air conditioning, cable TV and a private bathroom, mini-refrigerator, writing desk, iron and ironing board. The rooms on our Tennis Court Block are dressed in clean white walls and crisp white linens and are accented by bursts of colour. High ceilings and ample space makes for a sublime retreat. The Jr. Suites have more handsome furnishings compered to Superior Rooms air conditioning, cable TV and a private bathroom, mini-refrigerator, telephone, writing desk, microwave, safe, iron and ironing board, Quaintly decorated one bedroom apartments with sitting area. Amenities: air conditioning, cable TV and a private bathroom, mini-refrigerator, telephone, writing desk, microwave, cooktop, kitchenette, safe, iron and ironing board.